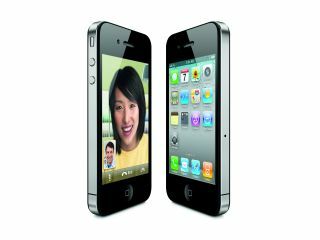 Pre-orders for Apple's iPhone 4 in China have exceeded 200,000 since the smartphone launched in the country this weekend. Apple has stopped taking orders online in China for the time being, due to the strong demand for the handset. Mobile operator China Unicom has exclusivity with the iPhone in China. The company announced in a statement that around 60,000 buyers had received phones so far through China Unicom. The mobile operator is offering iPhone 4s to Chinese buyers on a two-year mobile subscription contract, in addition to Apple selling the handsets directly via its retail stores in China. China is the world's largest mobile phone market, with over 800 million subscribers. Over 1000 eager Apple fans were already queuing outside the new Apple Store in Beijing's Joy City shopping mall at 8am on Saturday morning. "It's like waiting in line to see a movie star," Sun Jian Kuan, 26 told Computerworld "No phone can best the iPhone." A contract-free 32GB iPhone 4 retails for 5,999 yuan in China (£566), while the 16GB model goes for 4,999 yuan (£472).